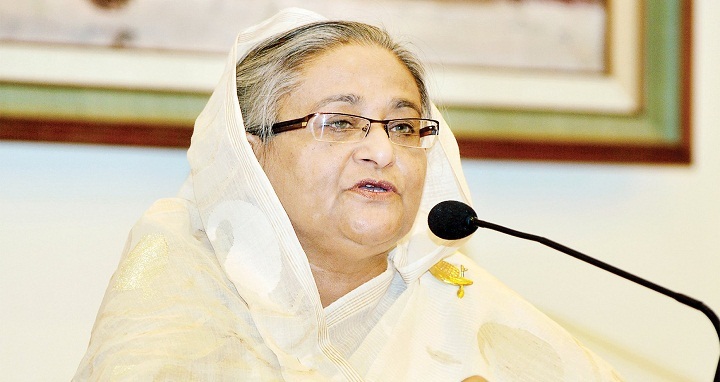 Dhaka, 26 September, Abnews: Prime Minister Sheikh Hasina will address the 73rd Session of the United Nations (UN) General Assembly here tomorrow. The prime minister is scheduled to deliver her speech at the General Assembly Hall in the UN Headquarters between 7:30 pm and 8 pm (local time). The prime minister will place some specific proposals in continuation of her previous five specific measures for resolving the Rohingya crisis, Foreign Minister AH Mahmood Ali told a press conference at the Foreign Ministry in Dhaka on Thursday last. Sheikh Hasina will receive two prestigious awards — one for her dynamic and farsighted role in addressing Rohingya crisis and another for her outstanding leadership, Ali said. The premier will receive ‘International Achievement Award’ introduced by Inter Press Service (IPS), a global news agency, while Global Hope Coalition will confer her ‘2018 Special Recognition for Outstanding Leadership Award’ in two separate functions tomorrow evening. Apart from these, Sheikh Hasina will have a meeting with UN Secretary General Antonio Guterres tomorrow afternoon, while US Secretary of State Mike Pompeo will later call on her. The prime minister arrived here on Sept 23 on a weeklong official visit to the United States to attend the 73rd UNGA.